Can you spot a koala or an emu? Belair National Park was the first national park in South Australia, proclaimed in 1891. Once part of the lands of the Kaurna Aboriginal people who have lived in the area for thousands of generations, today Belair National Park south of Adelaide is a popular place of recreation. 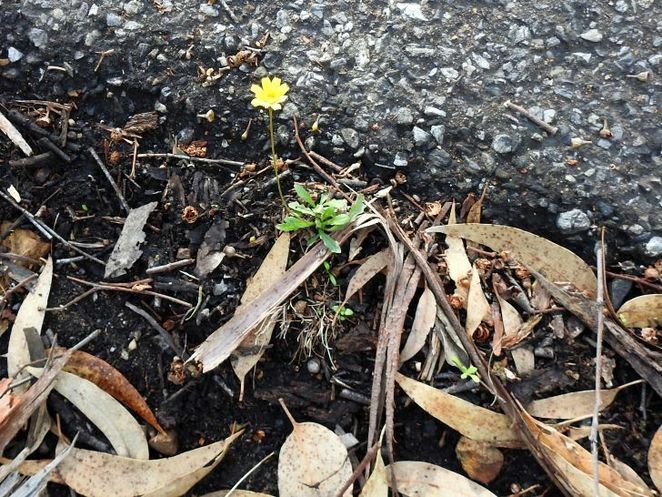 While exotic (imported) species of plants can be found at the Belair park, many are simply weeds - unwanted plants that do not belong in an area dedicated to Australian native flora and fauna. The Friends of Belair National Park work to remove these, and to encourage indigenous plants and animals to thrive. In 1985, the Belair National Park was declared as a state heritage area to protect it from unwanted development, so when you visit the park it's the perfect time to take Heritage SnAps and win a prize. 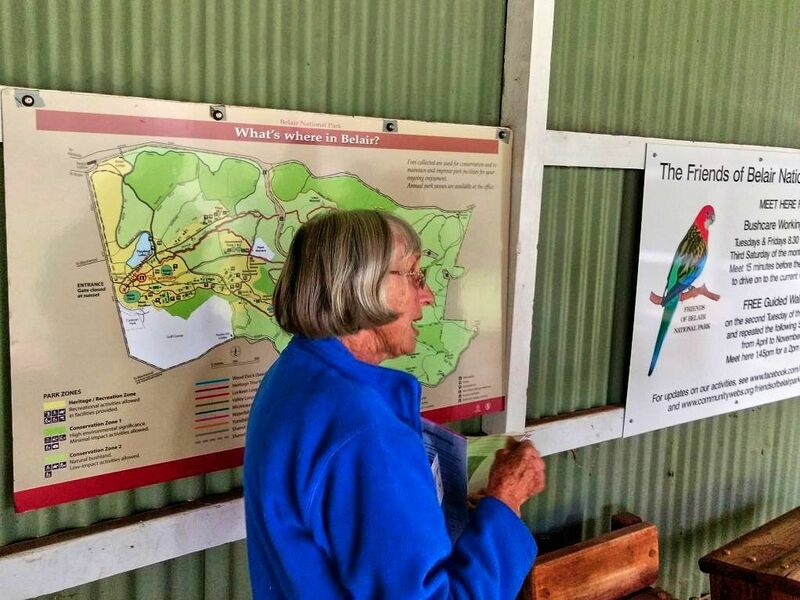 The Friends of Belair National Park are passionate about this largely unspoiled piece of land in the suburbs. They work hard to provide voluntary assistance in the conservation and management of the Park, and to provide cultural and social activities for the enjoyment of visitors to the park. Last year the Friends ran a series of free guided walks to showcase the tiny yet colourful native orchids in the park. In 2018 the Friends are again running a series of free guided walks in Belair National Park, but this time the focus is on woodlands in the park and their associated understorey plants. I joined them for a walking tour of the Stringybark woodlands at Belair on a lovely autumn afternoon. The tour is popular with around 20 people taking part on the Tuesday I went, and each walk is repeated again on the following Sunday. 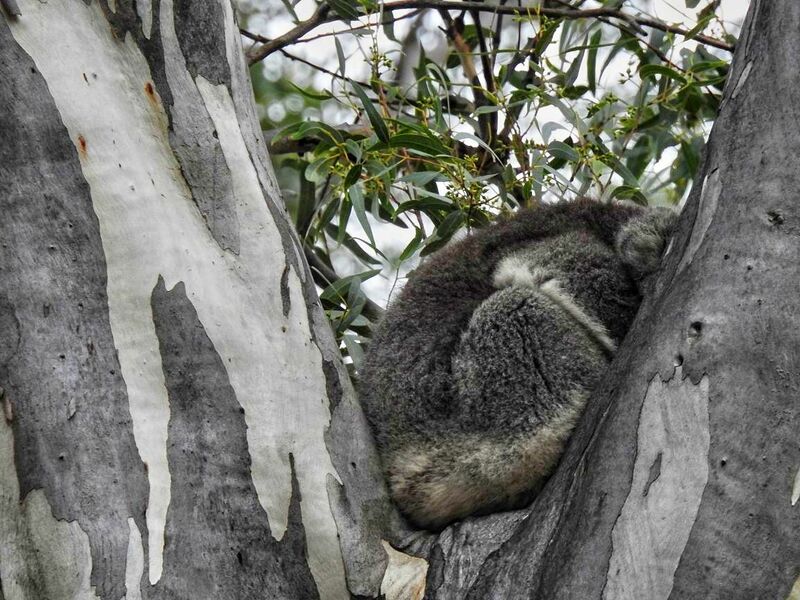 Even before we met the Friends near the national park entrance, my friend had already spotted a sleeping koala high up in a gum tree. It was a sign of good things to come. 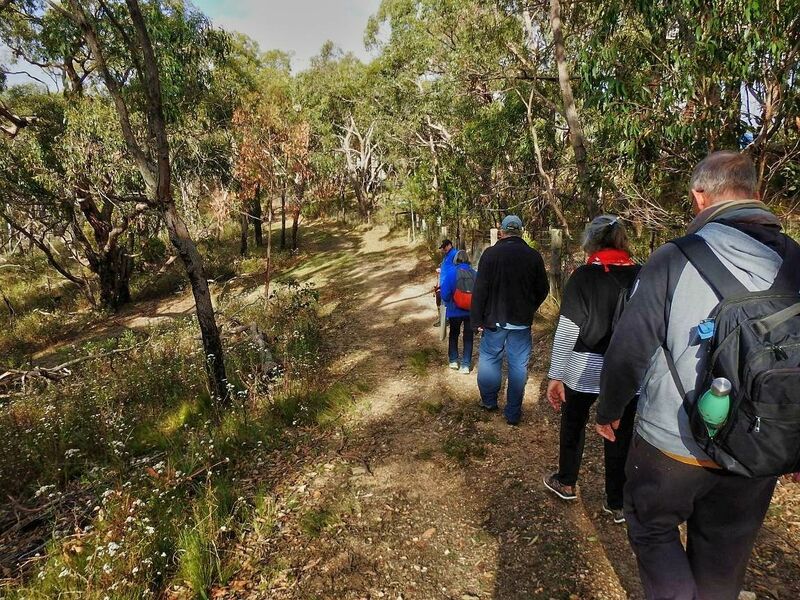 After a quick briefing from tour guide Barbara, we set off on a short drive through the park to the location for the walk - the Warri Parri Ridge track. Anyone without transport was quickly welcomed into the carpooling arrangement, and the tour guide was able to unlock some gates to give us special access. My friend found the first few minutes of the walk difficult, because she has a medical issue with walking steeper hills. However the guide worked around this, and we were soon off to discover our first bush tucker - a native cherry bush. Everyone on the guided walks is given a handout with details and photos of the native plants that we would look for, which I found really helpful for identification purposes. Tour guide Barbara was well prepared, and with a couple of helpers, we soon found more of the Stringybark understorey plants. 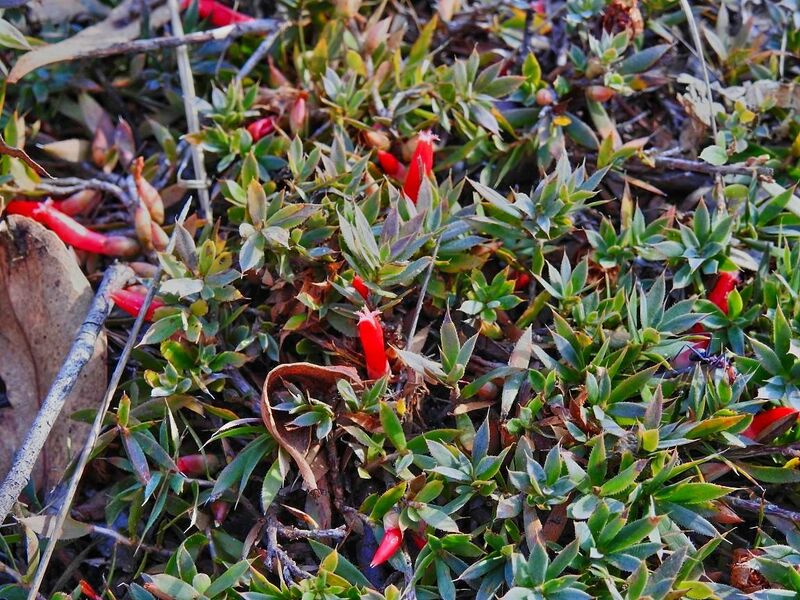 Next up was the Downy Mintbush quickly followed by more bush tucker - Yam Daisy tubers and Native Cranberry fruit. I was very surprised how many edible plants that indigenous people used on the Adelaide Plains. On the guided walk I took we also found a couple more tiny native orchids, the Parson's Band orchid and Maroon Greenhood orchid. Every walk is unique, so you will discover all sorts of other native plants and animals on your walking tour. These free walks are held monthly on Tuesdays, with a repeat walk the following Sunday. Entry to Belair National Park is free if you're taking part in a walk, and it's a refreshing and fun way to spend an hour or two with some gentle exercise. See the Friends of Belair National Park website and Facebook page to find more details about the walks, or just show up on one of the days when they are being held. You won't regret it! Why? Learn more about our native flora and fauna while keeping fit.